The task force, formed in the wake of Japan’s devastating 9.0 earthquake and tsunami in March that resulted in a nuclear disaster at Tokyo Electric Power’s Fukushima Daiichi nuclear power plant, recommended improving protections against earthquakes, power losses, and floods, among other concerns. Additionally, owners should be required to have at least eight hours of backup power at reactors, provide emergency systems to spray water into pools holding spent fuel and install more reliable venting systems for reactors similar to those that failed in Japan. “Continued operation and continued licensing activities do not pose an imminent risk to public health and safety,” the task force said in its 92-page report. It was unclear what costs would be required to make the recommended safety improvements, but industry owners reacted with alarm to the task force’s report. Of most concern, according to the Wall Street Journal, is a proposal to set aside a 1988 rule, known as the “cost protection rule, which has allowed the industry to avoid costly upgrades. The rule was created after costs spiraled out of control for the industry because of reaction to the 1979 accident at the Three Mile Island reactor in Pennsylvania. Billions of dollars of added costs were imposed, which the industry said stalled its growth for more than two decades. The industry has avoided major upgrades because of the rule, which is based on the calculation of whether human health benefits exceeded the costs of those upgrades. In the calculation, a human life was valued at about $3 million. Critics say the rule undervalues human lives, noting that other federal agencies place a value on a human life of between $5 million and $9 million for the purpose of cost-benefit calculations in other areas. The task force released its findings Wednesday. There can never be rest especially in this area, consequences are irreversible for many generations. 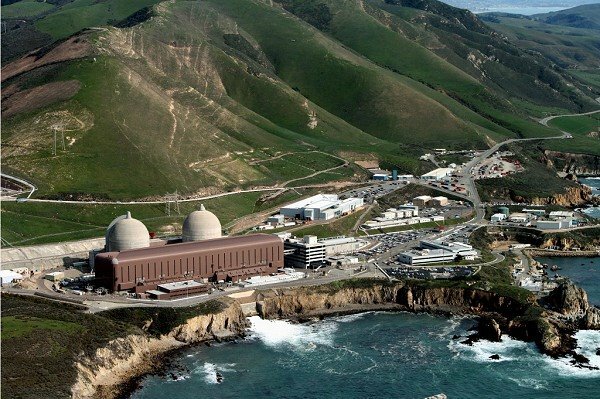 More scare tactics from the left, nuclear power is safe and clean when done right. Clean safe and too cheap to meter ! At least he’s open about dodging the draft, I wish my brother would have. I only wish that Bush would be so honest and tell us were he was hiding when he was supposed to go fight. RTA that phrase in his answer Q4 and it is a regular feature of his radio program that you can listen to Sunday afternoons on kcbx. 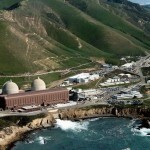 or kcrw live @10am withering critiques and true tales of nuclear power . Good article zap. I had no idea he went to UCLA and Harvard. Tell that to the people in Japan. If what this article says is true, by my calculations the more people PG&E allows to be at risk from Diablo, the greater the potential short term earnings and thus the greater the bonuses to PG&E executives. Same ol’, same ol’ in this insane world. This is disgusting. Sorry rich fat cats, my kids are worth more than that, as a matter of fact they’re priceless. Now go pay your taxes you disgusting wealthy pigs! This just makes me so mad. How dare they avoid major upgrades when they are making ridiculous profits while paying little to no taxes. This is another good example of why we need to close these things down, they don’t care about us at all, they only care about $$$.